The Bfllight is a clean cut FPV quadcopter that carries a bargain price tag. Usually, when something has a low price tag, it means it either uses terrible components or it is bound to break after a gentle flight, or the performance is pants. However, the Bflight 210 actually uses decent equipment and has great flight performance. 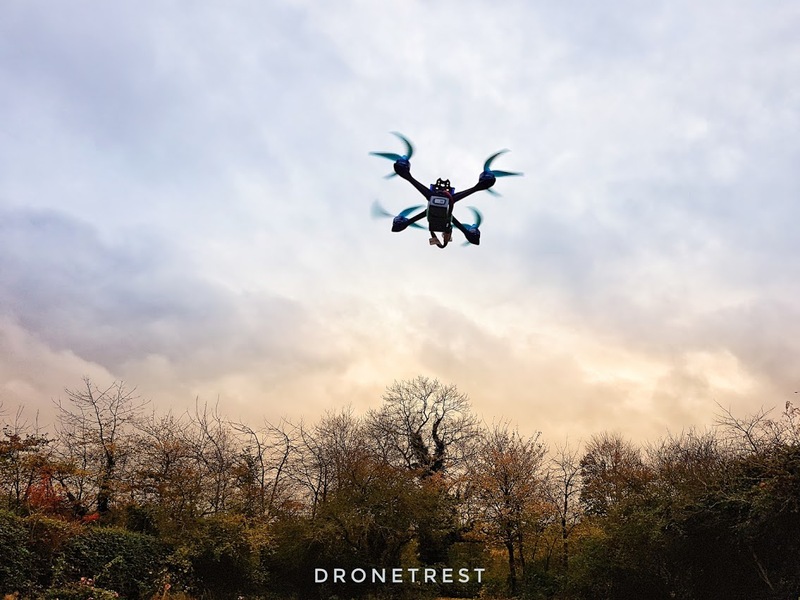 It isn’t exactly the worlds fastest or has the latest top spec gear, but when you factor in the low cost of this quadcopter, it is simply unbeatable. This flies and looks a lot better than what it costs. Read on for the full review. The Bflight 210 is a quadcopter that does fly as well as it looks. It has been built to a relatively high standard and is sold for an excellent price. It might not be the fastest quad around, but it sure has a decent amount of acceleration and manoeuvrability to challenge the more expensive alternatives (like the Kopis 1). 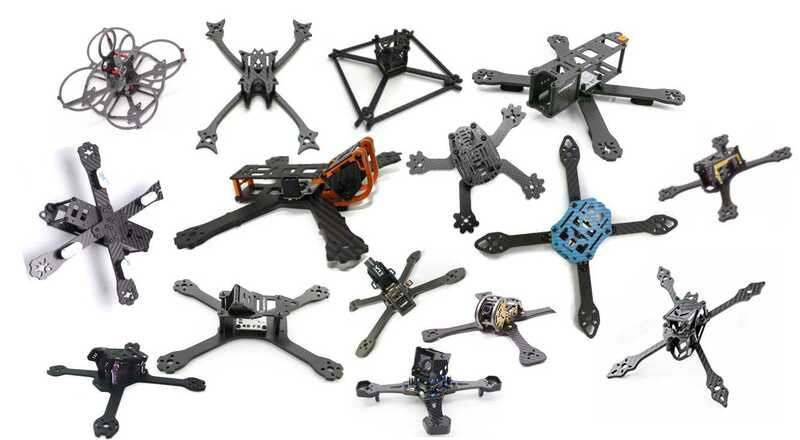 So if you are a beginner looking for a new pre-built frame, or want a backup FPV racer, you cant go wrong with the Bflight 210! What Battery should you use? I flew the Bflight with both a 3s and 4s 1550mAh lipo. 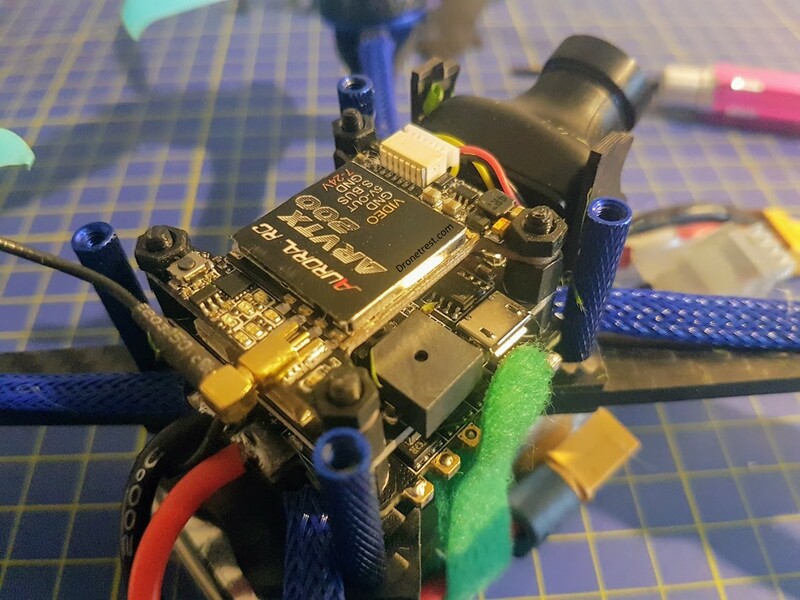 So if you are a beginner I suggest you start with a 3S 1550 75C, and then when you need more power and acceleration move to a 4S 1550 75C Lipo. 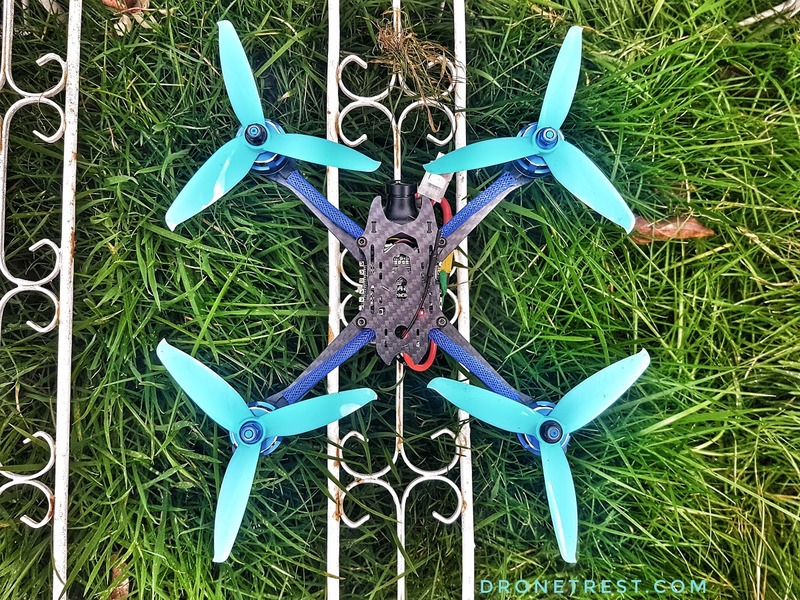 The sleek arms of this quad, with neat blue wire mesh guard not only make this quad look sweet, it also serves a purpose of protecting the motor wires. The arms themselves are 4mm thick which are strong enough to handle serious crashes. 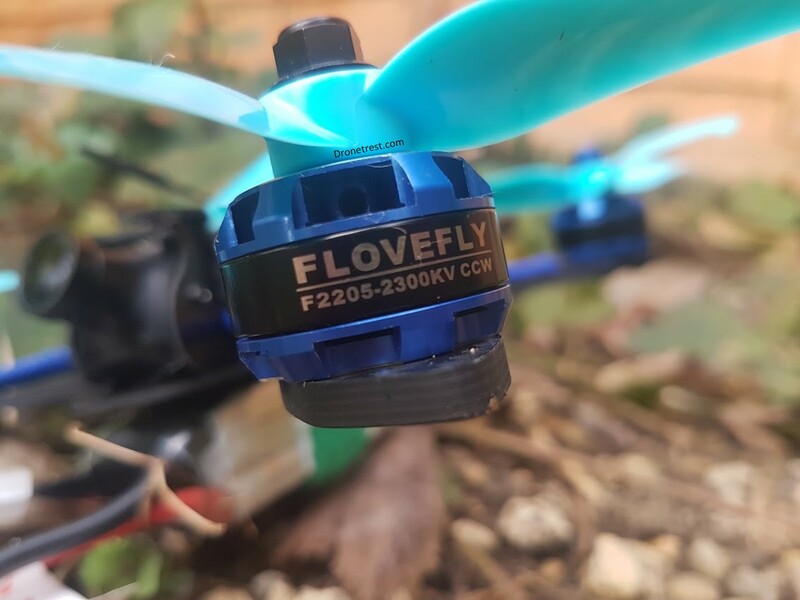 Powering the quadcopter are some unbranded F2205 which perform just as well as any other 2205 2300Kv motors (like the popular RS2205 from Emax). 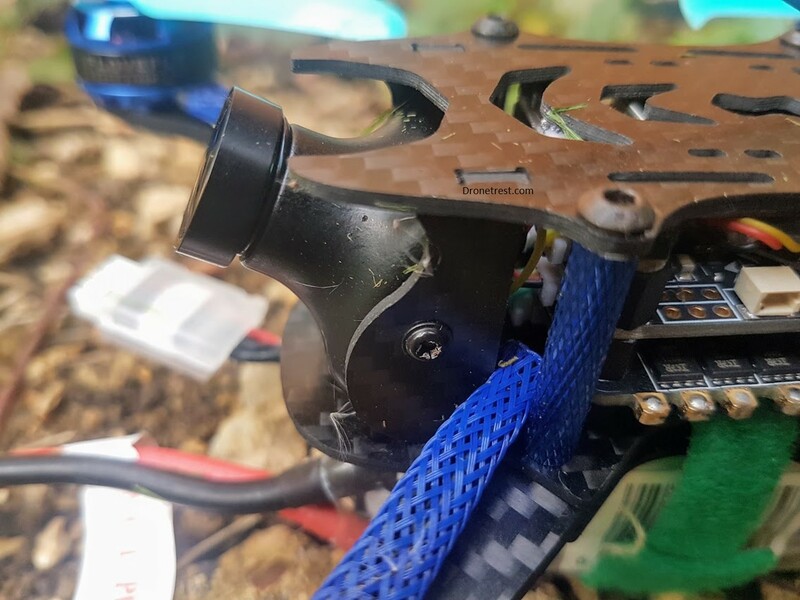 The low weight of this quadcopter (at 267g excluding battery) means that you don’t need the worlds most powerful motors to get great acceleration. 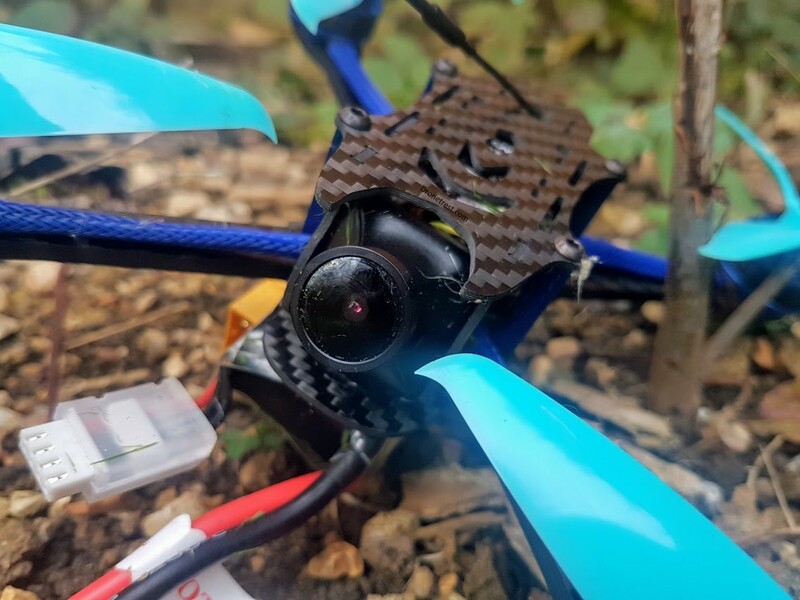 In the air, the quadcopter responds well and even more experienced pilots will not feel that this quad is sluggish at all. Out of the Box the PID’s are tuned well, so most pilots will not need to mess with any PID tuning which is a plus for a quad of this size. At the heart of the quadcopter is an omnibus F3 flight controller. This is not the latest generation tech, but still does an excellent job at controlling your quadcopter with 8khz gyro updates and a 2khz PID loop speed. The flight controller also includes a built-in betaflight OSD allowing you to easily configure the OSD as you want from the betaflight GUI software. On the bottom of the stack is a 4in1 30A ESC that is running Blheli-S firmware. It was configured to run at dshot600 out of the box which is great. 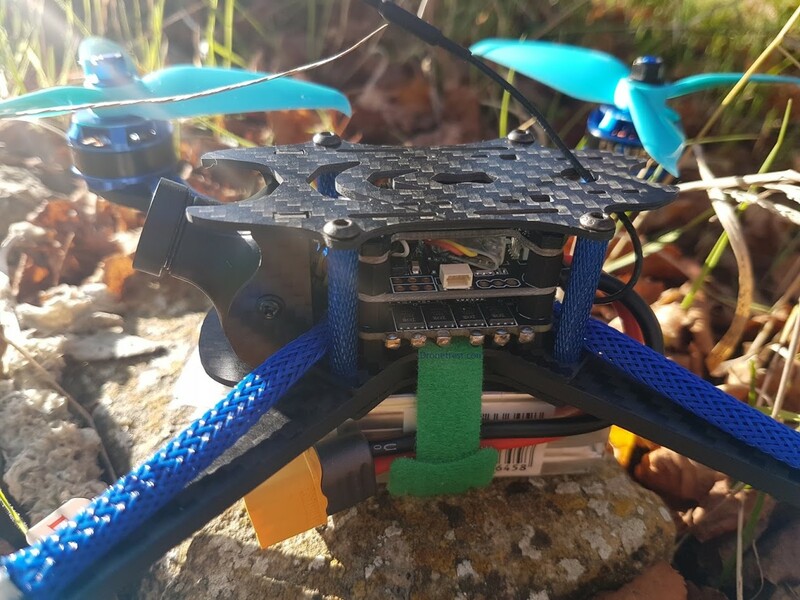 This combination of the omnibus F3 with Dshot600 make this quad a joy to fly, with it responding instantly to any stick commands you throw at it. On the top of the stack is the 40CH 25mW / 200mW video transmitter. There is not much to say about this as its fairly generic and does a great job. The VTX also included a strange SBUS input, which I assume lets you control the channel or power from your radio. But since there was no documentation included I did not get a chance to play with this. Also, I don’t think it is very relevant with all of the telemetry VTX units coming out that let you control the VTX via the betaflight OSD. A minor drawback of the flight stack is that there is not much room to mount your R/C receiver, however, if you are buying a plug and fly version the included RX units are small enough. 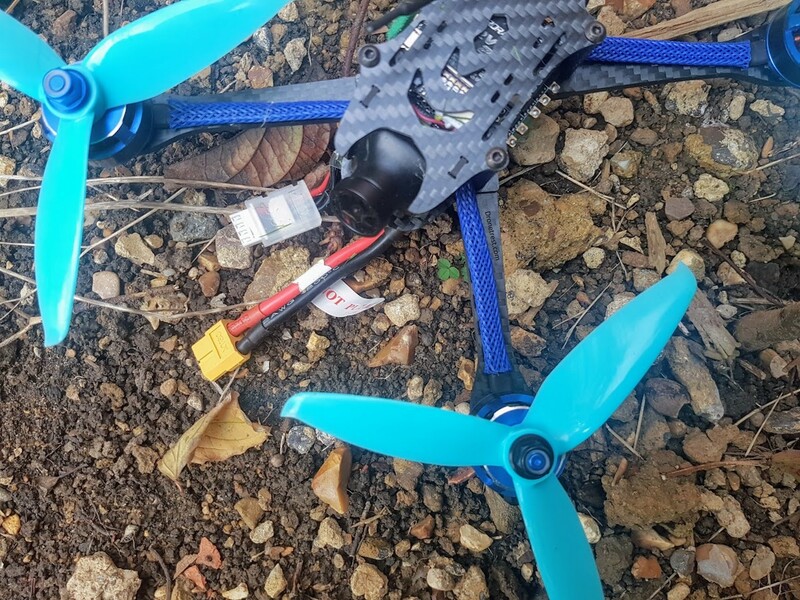 The other issue is that the stock VTX antenna is not great, and to make it worse it is not secured at all (so it can get ripped out by the props). A simple zip tie mount can solve this issue. However, a better solution would be to buy a proper antenna like a pagoda 2. Fortunately, you get an SMA adapter for the included VTX allowing you to mount standard antennas. The 920H TVL FPV camera provides a great picture even when flying on a dark cloudy day. 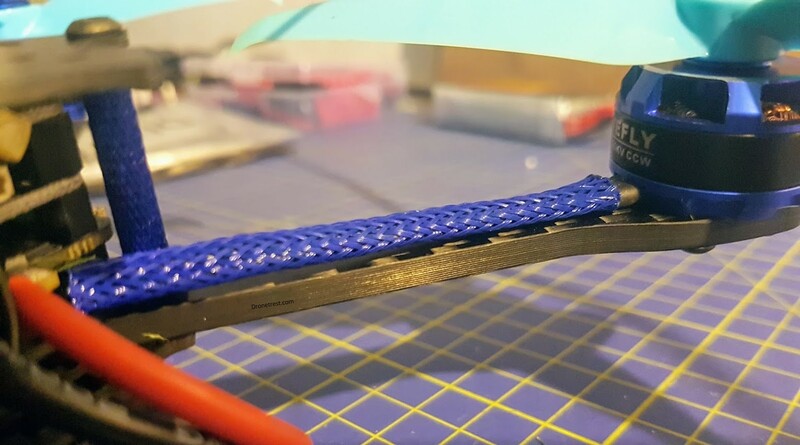 It is mounted on an adjustable mount, letting you set the angle to suit your flying style. So as far as FPV goes, it is a great camera and does not have any significant problems that would hinder your FPV experience. The only downside is that the the bflight 210 does not offer any protection to the camera at all. That said, this is a common issue on all lightweight frames so is something you just need to accept. The bflight is a great FPV quadcopter that anyone who buys it will be happy with. This is not just because it is cheap, but it also works well out of the box and is built using decent components. I like to consider this quad as a cheaper version of the Kopis 1. It is approximately half the price of the kopis 1, and yes, the components or build finish are not as good, but they are still plenty good enough for most people and have I mentioned that for the money it is hard to beat! If you have any questions or comments please add them below, and if you want to support us, please buy using one of the links above. 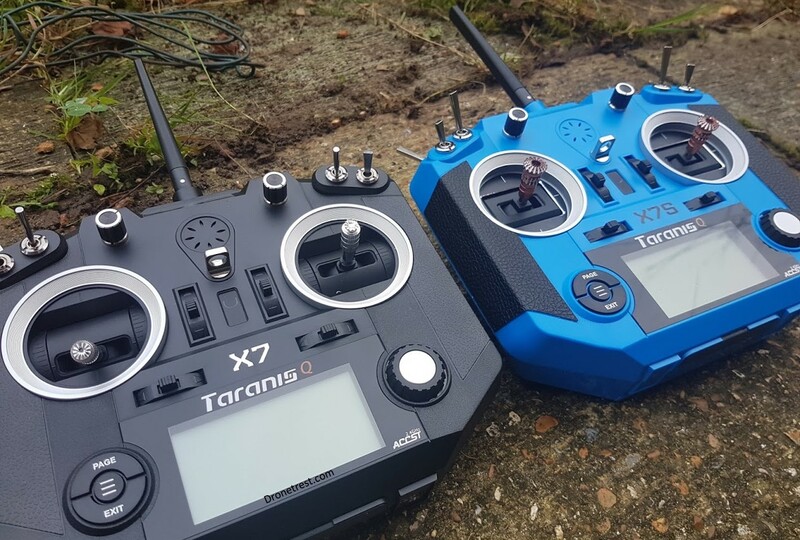 Frsky Taranis 🌩️ Q X7 VS Q X7S Compared 🎮 - Which one should you buy?